Green and Sustainable are two words that get tossed around the market place, abstractly and ad nauseam. But what if you had the chance to see those words in action, fully manifested, with measurable metrics to prove it? What better place to start, then right at home? 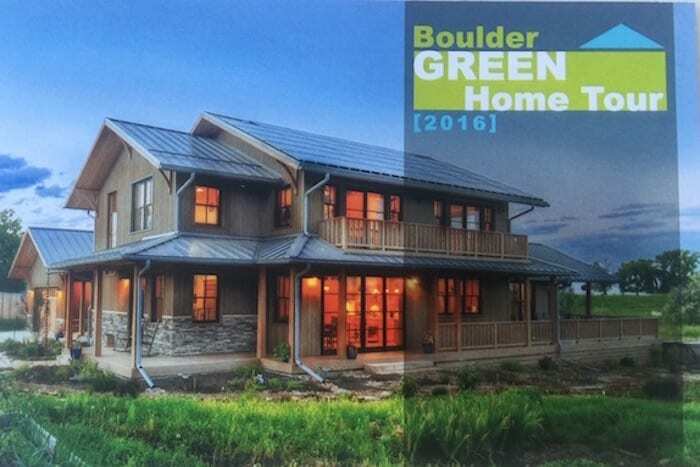 Take a peak into some of the most innovative green building homes around Boulder, by signing up for this self-guided tour happening on Saturday, Sept. 24th. The tour is put on by the Colorado Green Building Guild, a non-profit trade organization representing a wide range of green building leaders, that strives to promote the collaborative exchange of ideas on green building in the community. From modern to traditional, from remodels to multi-family projects, see how these Boulder area homes became more energy efficient with less impact on human health and the environment. The family residence of Bill Melvin, Ecoscape’s founder and managing director, will be included on the tour as well. Tickets are only $15 and CGBC is donating 10% of their proceeds to Flatirons Habitat for Humanity’s local projects. The tour will happen rain or shine, 10am to 4pm (last tour starts at 3:30). Be sure to attend the After Party & Vendor Fair from 3:30 -5:30, where you’ll have the chance to talk with the architects, contractors, and vendors who are out on the leading edge putting real-time green and sustainable solutions into the home and garden.